Search for all "Vasopressin V1b receptor (V1bR)"
Goat anti Human Vasopressin V1b receptor (V1bR). Immunohistochemistry on Paraffin Sections: 5-10 µg/ml. In paraffin embedded Human Pituitary shows bright cytoplasm staining of a few active secretory cells in the anterior pituitary. 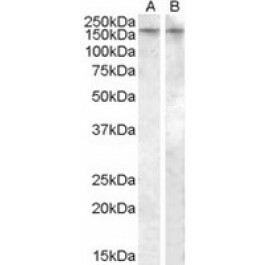 This antibody reacts to AVPR1B.